When I first heard about Black Lightning, I was intrigued. My interest was somewhat tempered with the realization that it was being produced by exactly the same people who gave us most of the Arrowverse, and became even more so as all three of the currently running Arrowverse shows have definitely taken a step down in quality again. I also laugh along with everyone else who is just watching and waiting for the two to somehow intersect. But, still, my interest remained, and I am, at least for now, quite glad that I did not let the association between them put me off. 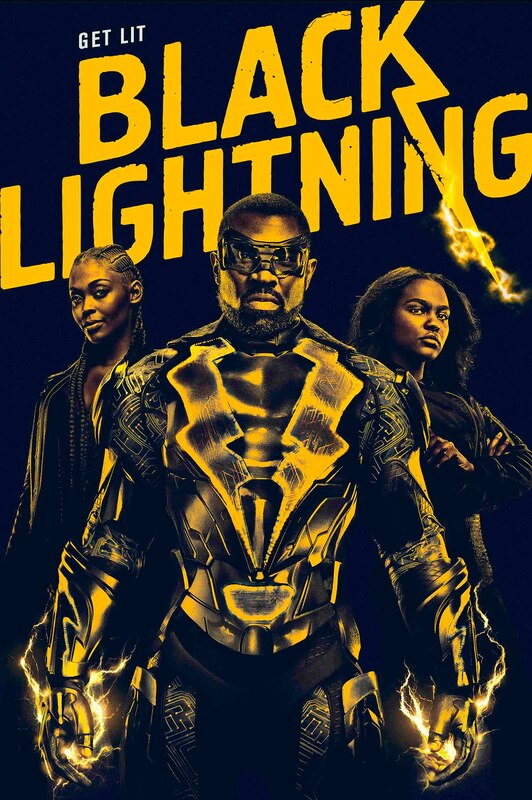 The basic premise of the show is that the main character, Jefferson Pierce, is a metahuman with moderate electricity-based superpowers, and he used to suit up as a vigilante, Black Lightning. He fought a war against a gang called The 100, especially against their super-strong leader Tobias Whale, and he wasn’t doing too badly, but he was practically killing himself in the process, which his wife did not approve of. Nine years ago, he hung up his suit and donned a different one, becoming a school principal, keeping children safe and nurturing their minds and souls to become something better. But while he’s been inactive, The 100 have regained power and are running rampant, growing ever more bold and brazen. When his family is threatened, Jefferson becomes Black Lightning again, and the war begins again, Round 2. Oh, and as he fights for his family and his community, Jefferson gets to learn that his grown and growing daughters have inherited his powers. It’s fresh, gritty, exciting, heart-breaking, inspiring, and more. Taking some obvious cues, felt most keenly in the soundtrack, from Marvel’s Luke Cage, the show tells a story about black life and black culture in a populous area of the USA, albeit obviously influence by a liberal view. Even more, it tells the story of a man who is just trying to protect his own family and neighborhood from a vile evil that is overwhelming them and making victims of them all. It’s a story about sacrifice and strength. That’s Black Lightning. It’s not your usual superhero story, either. The vast majority of them begin at the beginning of said hero’s career, with discovering or using their abilities for the first time, then embarking on their quest for world peace or whatever. Instead, this is Jefferson’s second beginning as Black Lightning, his rebirth. We’re not wading through years/decades of conflict, drama, romance, and child-rearing, we’re dropped into the middle of things. The world knows and remembers this hero who fought for them once before, and they already have well-founded opinions about him. Unfortunately, so do his enemies, and it’s rather foreboding that one of them believes he actually killed this vigilante before, back when he was still in his prime, which, while he is still fit, he’s definitely not a young daredevil anymore. Black Lighting also doesn’t shy away from the horror of things, or the blood, but it doesn’t overdo them either. Which, that would be one thing Marvel might need to recall these days, but I digress. In this show, we have gangsters making legitimate threats of death and destruction, killing each other and innocent people alike. Even when you know the heroes have to survive the episode, the danger still feels very real. Also, suits that glow in the dark are not optimal for sneaking around in it. The violence is pretty realistic too, with exception to how being punched by a living taser ought to stun one a bit more quickly and effectively than it apparently does. So, it’s not “perfect,” but it strikes a pretty decent balance between giving the hero an advantage and leaving his normal enemies with a proper chance against him. He’s clearly not bulletproof, for instance. The plot and the characters aren’t left as simple constructs, either – or, at least, not within the first two episodes – which is one of the Arrowverse’s particular failings in recent years. One example: when one girl is kidnapped and rescued, she’s both afraid and invigorated towards reckless behavior, which one of her peers and a romantic interest helps her deal with. Other stories would have her either be completely all right after the experience, or drive her over a cliff with either fear or recklessness. Instead, we have a balanced, realistic approach to a legitimate trauma. It’s really quite refreshing to see in a CW superhero show! 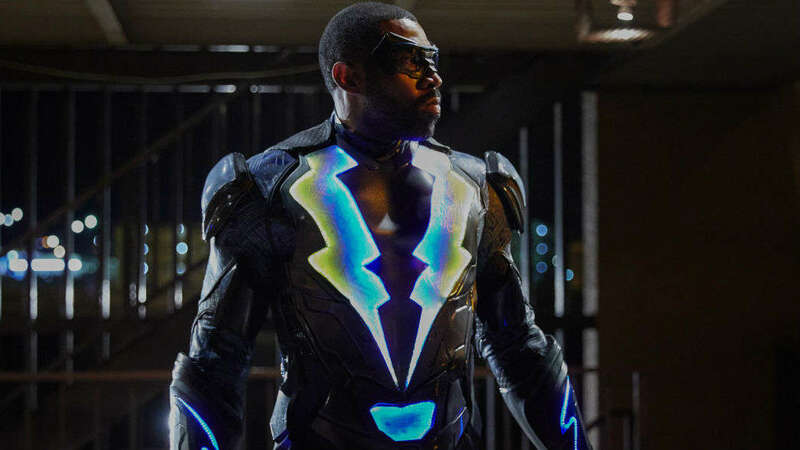 Heck, Black Lightning himself is more complicated than other CW heroes, if only because he is torn about his decision to act as a vigilante again. He had very good reasons for hanging up his metaphorical cape, and he has very good reasons for putting it on again. He is weighed down by the burdens he carries, but he isn’t broody and moody about it. Neither is he automatically and overwhelmingly self-sacrificing, as so many others are. There is a balance to be found between selfishness and selflessness as well as one’s duty towards one’s immediate family and one’s duty to the extended community, either extreme being incredibly dangerous. In short, Black Lightning had a fantastic debut, in my opinion. I haven’t seen a stronger introduction from the CW since Arrow, and if I were to compare it to Marvel’s TV shows, it would still be in the forward ranks. Rating: tentatively, 9 stars out of 10. This entry was posted in Tuesday Review, TV Shows and tagged Black Lightning. Bookmark the permalink.